What types of soil health practices do you want to do, but can’t for one reason or another? The SURVEY should take 20-30 minutes. We know your time is precious. We ask for it so that we can tailor our work to your needs. For vineyards in the North Coast region of California, what does soil health mean? Sonoma RCD, along with other local RCDs, NRCS, and others across the region, are in the early stages of a grant-funded project to generate discussion, demos, and science on soil health/soil carbon as it relates to vineyards in our region. In the next year, Sonoma and Gold Ridge RCDs will be setting up two soil health demo sites in Sonoma County, hosting workshops, and offering free soil health assessments to growers. 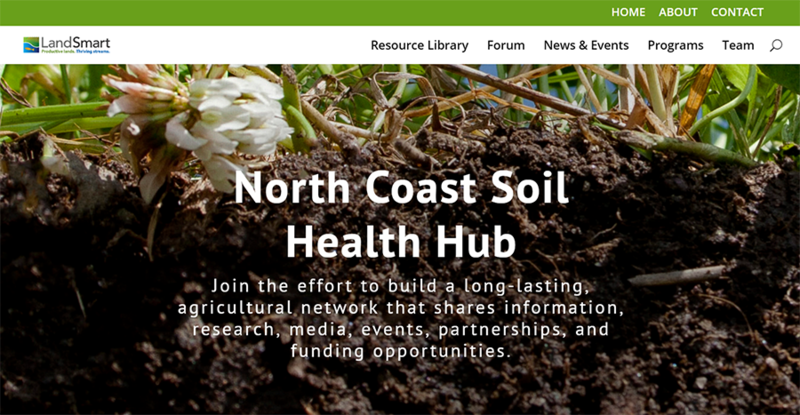 Stay posted on these efforts via the new North Coast Soil Health Hub website. Thank you for your time! Contact Anya Starovoytov, Project Manager if you have questions.